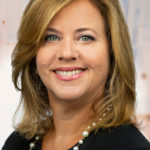 HUNTINGTON BEACH, Calif. (Sept. 27, 2018) — PR Talent, the nation’s largest communications specialist search firm, has hired former Weight Watchers, VP of PR, Donna Fontana as Managing Director in its New York office to grow its presence in the market. Fontana brings more than 20 years of in-house and agency communications experience and was most recently Managing Director of healthcare communications agency, Medical Dynamics. Previously, she served as Managing Director for Krupp Kommunications, and held senior positions at Ketchum and Rubenstein Public Relations. Fontana joins current Managing Director, Nikita Davis and will work hand-in-hand to continue to grow PR Talent’s PR, social and digital talent pool. Fontana is a New York native, growing up in Elmont, NY and earned her bachelor’s degree in communications from Queens College. She can be reached at DFontana@PRTalent.com . PR Talent delivers national reach and local insights for clients by establishing PR savvy recruiters in major markets from coast to coast. The firm focuses on full-time and freelance PR talent across all areas of expertise and industries and now has offices in New York, Washington D.C., Los Angeles, Chicago, San Francisco, Phoenix, Minneapolis, and Seattle. PR Talent is headquartered in Huntington Beach, Calif. and was founded by Delulio in 1998 after 17 years as a PR professional. More information can be found at www.prtalent.com .